Restrictive covenants are clauses which may be contained within a contract of employment which essentially seek to restrict employees conduct. After the employment has ended they are referred to as ‘post termination restrictive covenants’. Speak to one of our expert employment law solicitors today on 01925 937070 or complete the ‘Contact our Solicitors’ form at the bottom of this webpage. Non-competition covenants – restrictions on the former employee working in similar employment for a competitor, or preventing them from setting up a competing business for a certain period after the employment has ended. Non-poaching covenants – prevent a former employee poaching key colleagues to take to their new business. Such covenants often vary in time periods, but are generally for a period of 3 months, extending to 6 months, and in some cases can be up to 12 months depending largely upon the seniority of the employee. Post termination covenants are particularly important if the employee is a senior employee, who holds confidential information and has a good relationship with the employers customers/clients and key members of staff. As a general rule the courts will enforce restrictive covenants so long as they are deemed to be ‘reasonably necessary’ to protect the employer’s business. A restrictive covenant which goes beyond what is necessary to protect the business or is deemed ‘too wide’ will not be enforceable. The courts will also take into account the ex employees inability to make a living. Restrictive covenants are a complex area of employment law. 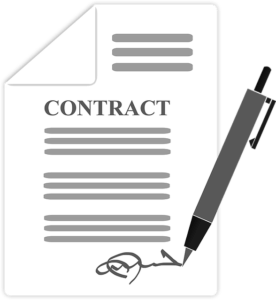 It is, therefore, important that you are aware of such clauses within your contract of employment and the effect that they may have post termination. To avoid being in breach of your employment contract post termination, it is strongly recommended that specialist legal advice is sought. Ideally advice should be sought either when negotiating a new contract or when looking to move from the business. Employer looking for advice on restrictive covenants? If you are an employer and you are concerned about the viability of your restrictive covenants within your employment law contracts, then our legal team can carry out a review your terms and/or draft new restrictive covenants completely tailored to your organisation, which will protect your business interests. Speak to one of our expert solicitors on 01925 937070 or complete the ‘contact us’ form below. We can assist with employment law, personal injury including fatality claims, road traffic accident claims, criminal injury compensation claims, medical negligence, settlement agreements and professional negligence.